Happy Humpday lovelies! I know most people consider the end of summer Labor Day weekend but it doesn't usually start to even think about cooling off around here until at least October, sometimes even later. That doesn't mean I'm not seriously fall dreaming though! 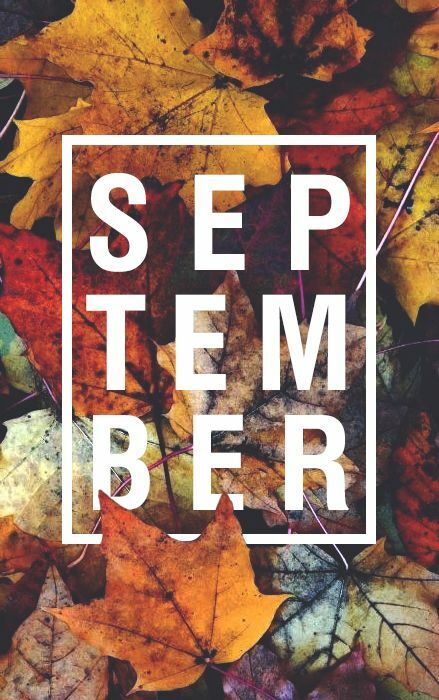 Even with cooler temperatures still at least a month out I'm ready to decorate for fall, enjoy the fall scents, and of course lust after the fall trends. Of course plaid is one of my main go-to prints for fall. I love a cute plaid flannel shirt with jeans or shorts (hey it's still hot enough to get away with it down here). Fall florals are also a fun pattern and a great way to transition from summer to fall. Especially fun floral dresses paired with chunky sweaters and boots. I love rich, jewel tone colors for fall. Oxblood, navy and rust are some of my favorite fall colors but you can never go wrong with gray or taupe either! Boots, boots and more boots! I cheat a little and always bust out my booties well before it starts to get cooler down here but I work in an office that on some days could be mistaken for the frozen tundra so I feel like I can get away with it. But I can't wait for the first cool enough day to rock these boots! Jackets! I don't know why but I have a love for jackets. Of course I don't want to have to be bundled up in some crazy puffer jacket all the time but I love living in Florida where I can get away with all the cute lightweight jackets. Love the hats and booties you picked! Love the hats! I'm really hoping that this will finally be the year where I can actually find a fur vest that isn't too long for my short frame! give me all the fall please! i am going up north later this month and fingers are so crossed that it will cool off a little up there for me. i want to rock some booties and scarves and wicked polish ALL day everyday :) great roundup of stuff, chica! I basically want everything on your list! Great picks girl! love your picks! The Essie polish is so neat! I don't think I bought any new booties last year - which means I get to go overboard this year :)! It's going to be a whopping 62 degrees here Friday, so I'm so ready to dress for fall. :) love all your picks! Great choices!! I love plaid and the scarf/shawl/poncho pieces!! yes, yes yes to everything!! send it in my closet and makeup room, please and thank you!! I love all the dark colors - jewel tones are great for brunettes. I can't wait to wear booties again. I feel like I'm ignoring half of my shoe wardrobe. Love all this! Especially the booties and nail polish colors! Ha ha! I was telling Eric over the weekend that Labor Day weekend must be when everyone says goodbye to summer and playing outside (that's how it was for us when we lived in Utah) but in Arizona it's when everyone says hello to camping, playing outside and gorgeous weather ;) I can't wait for it to cool down!! LOVE your finds, as always! Love me a good plaid. That plaid dress is perfect for fall. Great picks. Yes! I love chunky sweaters (just bought two over labor day) and cannot wait to wear them. Along with the boots, I swear the moment it's 70 degrees I'm like it's boot time (because anything that's not 90-100's is cool). Ugh FL seriously needs to cool down so we can wear all the cute fall styles!!! That plaid wrap dress is adorable! Love all the nail colors too and of course the hats! lol my office could be mistaken for a frozen tundra as well! it's basically fall / winter all year for me. i love booties! they are my fave. i recently just bought my first plaid shirt, can't wait to wear it! I've always wanted one of those faux fur vests! I got a sigh of relief when i saw this one was from F21 for less than $50. It looks like it could be a designer brand. It think I need every single one of these pieces - they're all so pretty! I'm dreaming of cooler temps - as I'm outside with the dog, sweating and my hair is frizzy because it just downpoured LOL fun times! I love all of your fall picks!!! It is so hard to even think about a jacket right now with temps in the 90's...but I have been lusting after all the fall colors, scents, decor and booties!!! Peep toe booties can totally be a thing right now. Have sandal/half real shoe haha! Lovely picks. I'm loving darker colours for lips as well! Yes to boots boots and more boots! The Rachel Zoe box had a forest green hat like that and I can't wait to start wearing it! Love your picks girl! I can't wait for lots of plaid & booties when the weather cools off! This roundup is fall ina nutshell! Can't wait to wrap up in a poncho and toss a hat on! Welp, I'll take one of everything please! I'm obsessed with that Band of Gypsies dress - sooo cute! I can't wait to start wearing boots and booties! I have been loving burgundy lately. And I've been drawn to plaid but everything I've tried on has been eh. I just ordered a plaid shirt (in burgundy...shocker) that I'm hoping will be cute on! That maroon hat, oh my gosh. I need it. It's still so burning hot here, too! It cools down around Halloween and then I can fully embrace my winter wardrobe :) I love fall!